PHILIPSBURG--A roadmap for the prevention of fires and the emanation of smoke, gases and foul smell at the sanitary landfill on Pond Island, signed by the Minister of Public Housing, Spatial Planning, Environment and Infrastructure VROMI to guarantee his commitment and those of his successors. 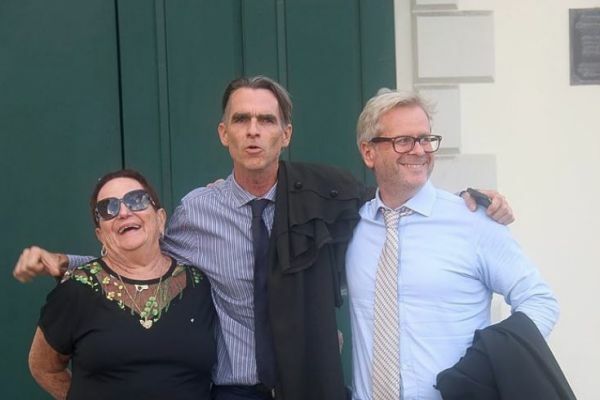 That may be the outcome of the injunction filed last month by St. Maarten residents Barbara Cannegieter and Camiel Koster and law firm Bergman Zwanikken Snow Essed (BZSE) against Country St.
Maarten, the Ministry of VROMI and current management company of the landfill Robelto and Son B.V. (R&S) in Sucker Garden. Plaintiffs requested Thursday that the Court order government and the dump operator to take effective measures to prevent the emission of smoke, gases and stench at the landfill within three months following a ruling. They also called upon the Court to order government to have an official institution such as the Netherlands Institute for Public Health and the Environment RIVM in Bilthoven, the Netherlands, conduct measurements of the toxic fumes and to make these public. With the results, plaintiffs would be able to draw their conclusions in order to limit their health risks. In case of non-compliance, the Judge is requested to attach to the verdict daily penalties of US $5,000, with a maximum of $1 million. At the end of the hearing, Cannegieter (76), who lives in Dutch Cul de Sac, less than two kilometres from the dump, made an emotional appeal to finally tackle the problems at the dump. “It is time to make a start. That is why I’m here and started this procedure. People are tired and sick of it. Filling of the dump is too little and not enough,” she said. Litigants hold it against government that the handling of waste is no top priority, despite statements made by Minister of VROMI Miklos Giterson in January in which he stated that the dump is his biggest concern. “It is a monster. I consider it a giant murderer,” he said at the time. After the umpteenth fire, the minister said in May that the dump-management agreement with R&S would be “amiably” terminated and that a waste-project manager would be appointed at once. Four months later he made it known that the contract with R&S would be continued until the expiration date of December 31, 2018, despite “poor performance” due to the existence of a penalty clause. In the meantime no waste-project manager has been appointed and no tender has been initiated for dump management as per January 1, 2019, plaintiffs claim. All in all, history is repeating itself, the litigants said, as promises were made for 20 years but nothing has come of these. Also now, government has no concrete short-term and long-term plans to solve the problems at the dump. 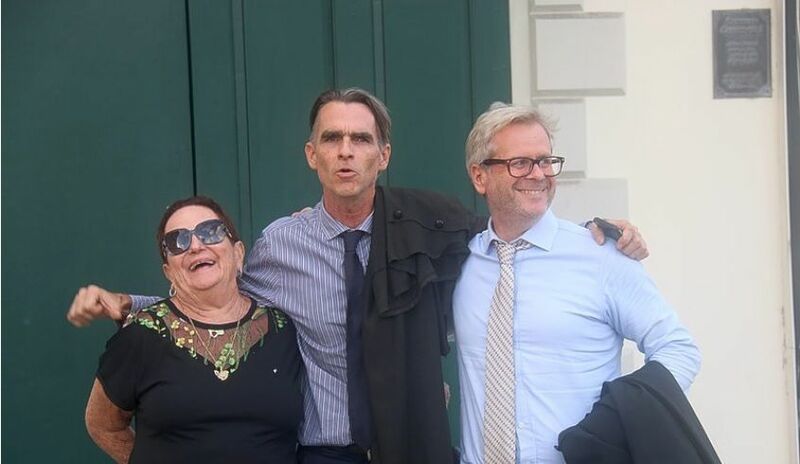 “Only the usual promises about awareness problems, a waste and sewage management division under the umbrella of GEBE and vague other short-term efforts,” according to Cannegieter and Koster, who claim that the injunction was needed to force Country St. Maarten into action. They cited World Bank expert Todd Thalhamer, who was hired to develop and advise the government on the landfill fires, in stating that the fires at the temporarily, smaller “Irma” landfill could be stopped in five weeks and those at the larger dumpsite within five months. Cannegieter and Koster said they were overwhelmed by the number of statements of support after it had emerged they had filed an injunction. Several persons wanted to join the injunction and others provided statements about nuisance caused by the dump fires, such as teary eyes, irritated noses, asthma, flu-like symptoms and headaches. Many people are concerned about their health and that of their children. They claim that government is acting unlawful in its failure to meet its constitutional obligation to promote public health and the liveability of St. Maarten. “Do Cannegieter et al really think that government had a solution for the dump long time ago, but that government chooses not to do anything with it?” government’s lawyer Aernout Kraaijeveld wondered. At this moment, government does not have any long-range or short-time solutions for the dump, he said. Kraaijeveld stated that government is making efforts to limit the emission of smoke and odour in preventing surface fires from spreading. Kraaijeveld said the dump is now closed between 6:00pm and 6:00am to prevent night fires from emerging. VROMI has started negotiations about a waste separation and recycling station. A project manager has been hired to prepare the installation of a waste authority and to draft a “Road Map to Waste” with plans for the improvement of waste management in the next five to seven years. Government’s lawyer also said that the request for measurements should be turned down as a certified industrial hygienist of EE&G in Miami, Florida, already took samples of the air quality at the dump and at upwind- and downwind locations on the island August 28 to 30. The results of these measurements have not been made available as yet, Kraaijeveld said. The purpose of these measurements is to assess what kind of security measures need to be taken for the contractors who “hopefully” will start working on the dump under a project financed by the World Bank in May 2019. No hazardous substances have been measured that pose a risk to public health, according to verbal statements made to government pertaining to the results of the measurements, the lawyer said. He added that government is having the intention to perform periodic measurements at various locations, such as by the so-called “E-nose” located at the sewage-treatment plant directly downwind from the dump. In case the Court were to recognize the claim, this should be limited to an obligation of best effort without any obligation of result, the government’s lawyer said, with the end term set at June 2019. He also called upon the court to limit the penalties in case of non-compliance to a symbolic amount. At the end of the hearing, the Judge said he is expecting a road map with steps to prevent dump fires and the emission of smoke. This road map should be landing at the Judge’s desk by the end of next week, together with the results of air-quality measurements. Government’s representatives, Secretary General at VROMI Louis Brown among them, said this may be difficult to achieve as minister Giterson is currently off island. Also, it was indicated that St. Maarten does not have any influence on the World Bank and its slow decision-making process. The Judge recommended litigants and BZSE law office to create a foundation to manage any penalty payments that may be imposed. To prevent litigants from becoming “millionaires” the foundation in formation should serve a good cause aimed at better landfill management, the Judge suggested. An actual Court decision in the injunction may follow at a later date.